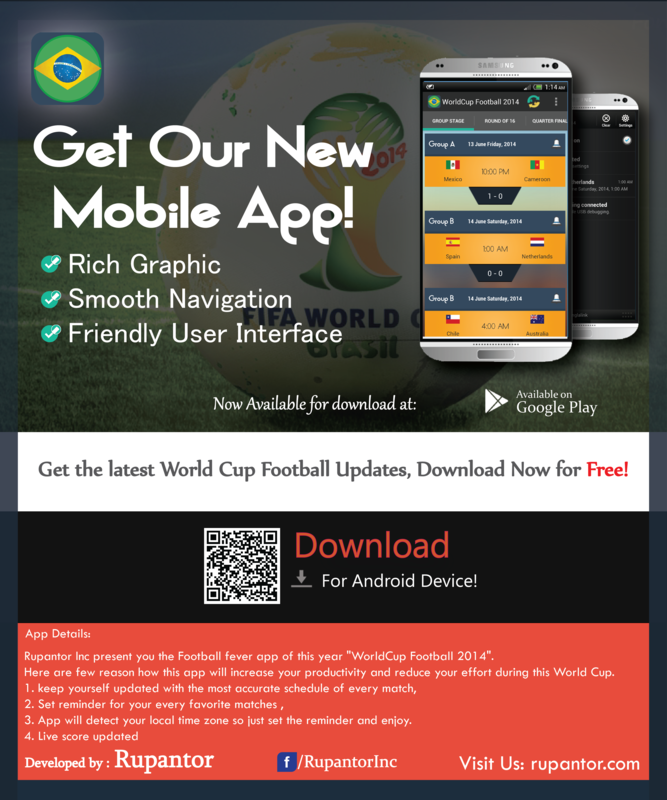 We Just lunched our latest Android app on WorldCup 2014. Here are few reason how this app will increase your productivity and reduce your effort during this World Cup. 3. App will detect your local time zone so just set the reminder and enjoy.